This weekend, the TUC is 150. 1868 was another world in terms of work – as anyone reading the list of occupational unions who sent delegates to the first meeting in Manchester would recognise. The sisters and brothers who founded the TUC and built their unions took a risk. They went against the way things had always been done and stepped out of the cosy consensus of their day. They created something new, using the best tools and tech at their disposal. And a century and a half later, we know that what they started transformed working people’s lives. But with unions staring at a membership cataclysm in the next twenty years, it’s about time we rediscovered the value of risk taking to better serve working people. Two years ago, after we’d weathered yet another attack on trade unions’ rights to organise, the TUC decided to try to build a model of trade unionism that works at scale for private sector younger workers. I say at scale because coverage of collective bargaining is what matters to make the transformative changes to pay and conditions that trade unionism brings. So from the start we knew that we needed to focus on building a model that could foster and support workplace organisation. We picked our target group: low to median income 21 – 30s in the private sector – so mostly be working in retail, hospitality and social care. 18 months of research and development later (read more about this here and here), we’re opening up our pilot. It’s called WorkSmart. The pilot runs from June 2018 until February 2019. Our target group of younger workers told us they felt stuck – that they had no-one on their side helping them work out how to get on in life and at work. Time and again they told us about problems they had at work – but they just accepted them, thinking that is just how work is. They didn’t think anything could change. All of this sounded like something that unions could help solve. But these younger workers thought unions were for other people – older people, public sector workers, people fixed in their career. And you could hear the impact of atomisation in their feedback to us – young workers didn’t feel able to trust their colleagues. Hence WorkSmart. It’s a digital offer – not because digital is new and shiny, but because for these younger workers it’s not. For them it’s everyday, the obvious way to discover something. WorkSmart is also digital cos we unashamedly want scale. The TUC’s national organiser often says of trade union organising (you’ll have to imagine the Scouse accent!) “there’s lots of good practice, but the problem is it’s not common practice”. We didn’t want to run another pilot that doesn’t touch the mainstream of how unions recruit, serve new members and support organising. We want to build something that can be big and widely adopted. And that means digital to start with – working towards workplace organisation and face to face. WorkSmart is a set of tools and content to help younger workers take control of their career. It’s bite size, fun, action-orientated and social. It’s not union branded at the outset – cos our research showed that would be offputting to this group (though of course we are open about who we are on the info page). Every aspect has been tested with younger workers over and over again. If they hate it, we change it. Their feedback guides what we do next. This means that sometimes the language or tone may feel unusual to a union audience. That’s okay: young workers like to be communicated with differently to existing trade union members. And all our traditional recruitment routes are still open to young workers if they prefer. The point is to get younger workers engaging with an offer that helps them build their confidence, motivation and understanding – and helps break down the barriers to organising collectively. Over the course of younger workers’ engagement with the offer, we will introduce rights info, and get younger workers thinking about problems at work and how to work with their colleagues to overcome them. Once younger workers are using WorkSmart, we plan to introduce them to WorkSmart Extra – a paid offer that incorporates union membership in a TUC member union. We’ll test when works to make this offer to young workers using WorkSmart, and how much it’ll cost. To those young workers, we hope it’ll feel as easy and as valuable a proposition as upgrading to premium Spotify from the free version. Young workers in WorkSmart Extra will be full union members. 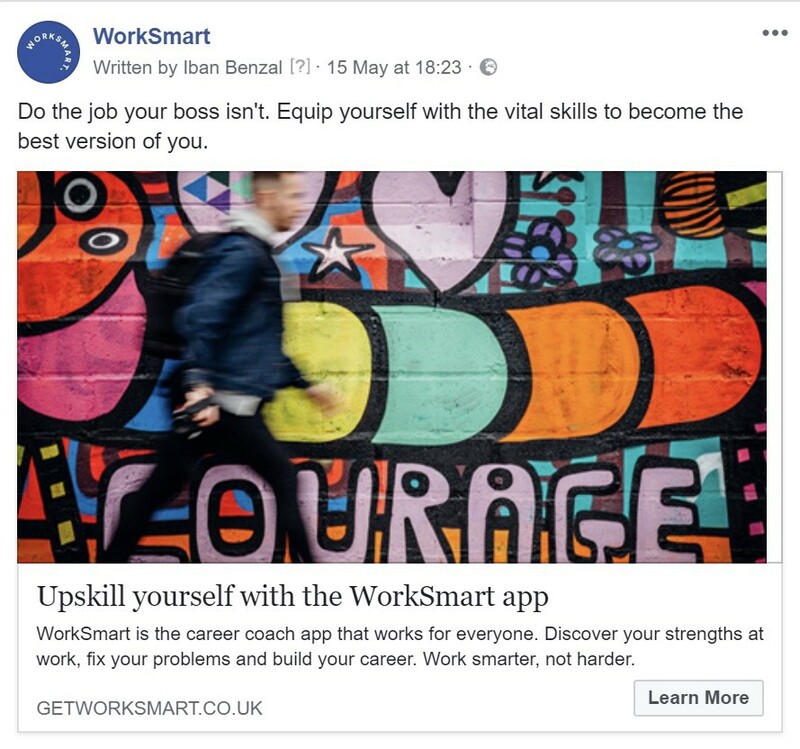 But we know that transitioning from the personalised experience of WorkSmart to the mainstream of a union could be jarring and in the worst case could mean we lose new members very early. So part two of the pilot is building a new joining journey for new union members to make sure we keep them in membership. Loads of unions operate new joiner offers and cross workplace branches, so we’re confident we will be able to work out how to make this happen, with the support of the unions on our steering group – Unite, GMB, Prospect and CWU. The plan then is to start to spot emerging leaders, common issues, and clusters of members with the same employer. That’s where the movement’s brilliant organisers come in: we want to build a pipeline of engaged younger workers with great organising potential, if we can support them in the right way. So we’ll build a toolkit to support organising, to complement what unions already know how to do. The goal is critical mass in some workplaces, new reps and branches – and ultimately more recognitions, and more bargaining for better pay and conditions. I could not be more proud and excited to be involved in this project. But I also feel trepidation. Putting this out there before it’s finished, at a pilot stage, feels risky. We’ve used the methods of the digital age. It’s not how unions usually behave (we can be very Old Power). It’s a nine month pilot, so I can’t answer lots of questions yet. Things I don’t know include: how much will it cost to young workers? How long will young workers be in WorkSmart before they transition to WorkSmart Extra? How many will become union members? How will we allocate young workers to the right union? How much will it cost to unions to roll it out? And most importantly, WILL IT WORK? That’s the one that keeps me awake. We have done all we can to give it the best chance. Everything is based on user research and iteration, and the TUC general council have shown enormous faith in trusting that younger workers themselves will show us the way. I’m also clear that the problem of shrinking young membership of unions is so big that everyone who’s got a great idea should have a go at trying it – and we’ll collaborate with anyone in the movement who shares our goal and is serious about change. WorkSmart will complement existing organising efforts – whether it be the eye catching actions at MacDonalds and TGI Friday, or the patient painstaking work of building membership at Amazon, Uber, Sports Direct and the big supermarkets. Plus, I’m painfully aware that two things must happen to rebuild collective bargaining coverage: yes, the union movement must revitalise and reform itself through projects like WorkSmart and others ideas such as those set out in this excellent paper from Unison’s David Arnold. But also, the legal framework within which we operate must change – starting with repealing the 2016 trade union act and giving unions the right to enter every workplace. There’s more to come from us at the TUC on this soon. But for now, here we are. WorkSmart. A nine month pilot – and the trade union movement taking some risks in the pursuit of growth and a better deal for younger workers. We kick off with 1000 young workers on the waiting list. Look out for news on how it’s going – and whether we will roll it out nationally in 2019. I hope you agree that this is a good way to honour the innovating, risk-taking and organising spirit of our founders on our 150th birthday. As always, please get in touch if you want to know more. I’d love to present to your union exec, young workers’ forum or conference. And ask me questions on twitter. A massive thanks to the team – Clare, Carl and John at the TUC; Ryan, Iban, John, Janine and everyone at our partners Good Innovation, who didn’t know what they were getting into when I emailed for a chat in mid-2016. Now TUC head of campaigns & comms. South Londoner, past Labour councillor, former NGO campaigner.